Which means, of course, that I really should call it autumn. I still would say it with an American accent and thus not be completely correct, but I believe in making the effort. Of course, autumn lasted about three weeks. 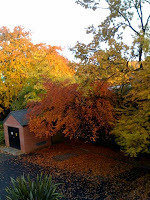 It was a picturesque three weeks, full of flame coloured leaves and dripping trees after the autumn storms. Now, I believe, we are officially in winter. Do you want to know how I can tell? I am now ice-skating across portions of sidewalk. And waking up to frost on the windowsill. And watching snow fall. And watching snow…melt? Now, I lived in Minnesota, so I am no stranger to winter-type weather. But, there is something unique to the “Manchester Winter”. It may be that it refuses to give in to the idea that it should slow down and enjoy the time of year and the sight of newly fallen snow, and thus prevents the snow from sticking. 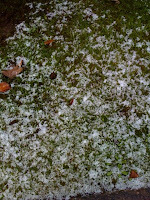 It doesn’t prevent the ice from forming though, and with Manchester’s love of rain–the black ice here is a trip. Or a stumble, really. Or really more like a slide and wobble. I’ve been going slowly (well, it feels slow). But I’m starting to enjoy wandering out of my door and looking around. Next up, the libraries, the museums, and the food. Mmmm. Food.